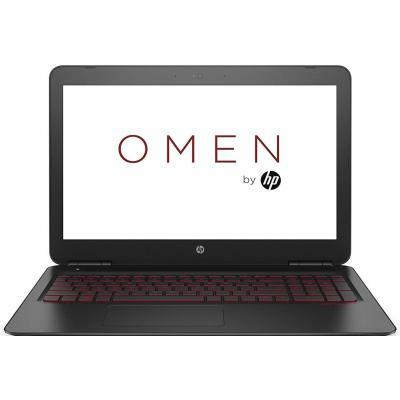 15-ax205ur Ноутбук HP OMEN by HP 15-ax205ur (15-ax205ur) 15.6', FullHD (1920 х 1080), Intel Core i5-7300HQ (2.5-3.5GHz), 8 ГБ, 1 ТБ, 128 ГБ, NVIDIA GeForce GTX 1050 Ti, 4 ГБ, No ODD, Bluetooth, Wi-Fi, LAN (RJ-45), Windows 10, 4 cell, 2.3 кг, Black 12 мес. 1AN77EA Ноутбук HP ENVY x360 15-aq105ur (1AN77EA) 15.6', FullHD (1920 х 1080), IPS, Intel Core i7-7500U (2.7-3.5GHz), 8 ГБ, отсутствует, 256 ГБ, Intel HD Graphics 620, No ODD, Bluetooth, Wi-Fi, Windows 10 Home 64bit, 4 cell, 2.0 кг, Silver 12 мес. 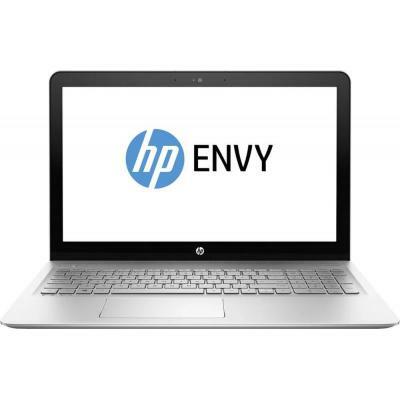 1AN79EA Ноутбук HP ENVY 15-as104ur (1AN79EA) 15.6', FullHD (1920 х 1080), IPS, Intel Core i5 7200U (2.5-3.1 ГГц), 4 ГБ, отсутствует, 128 ГБ, Intel HD Graphics 620, No ODD, Bluetooth, Wi-Fi, Windows 10, 3 cell, 1.9 кг, Silver 12 мес. 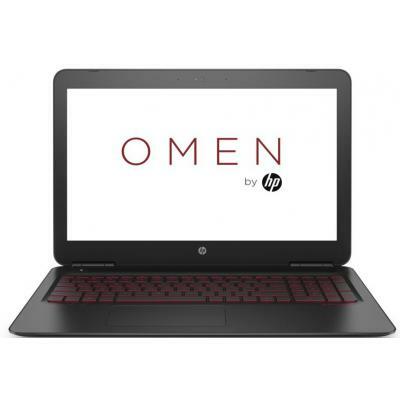 1GM68EA Ноутбук HP OMEN by HP 15-ax204ur (1GM68EA) 15.6', FullHD (1920 х 1080), Intel Core i7-7700HQ (2.8 - 3.8 ГГц), 16 ГБ, 1 ТБ, 256 ГБ, NVIDIA GeForce GTX 1050 Ti, 4 ГБ, No ODD, Bluetooth, Wi-Fi, LAN (RJ-45), Windows 10, 4 cell, 2.3 кг, Black 12 мес. 1JM37EA Ноутбук HP Pavilion 15-au145ur (1JM37EA) 15.6', FullHD (1920 х 1080), IPS, Intel Core i3 7100U (2.4 ГГц), 4 ГБ, 500 ГБ, NVIDIA GeForce GT 940MX, 2 ГБ, DVD-SMulti, Bluetooth, Wi-Fi, LAN (RJ-45), DOS, 2 cell, 2.0 кг, Black 12 мес. 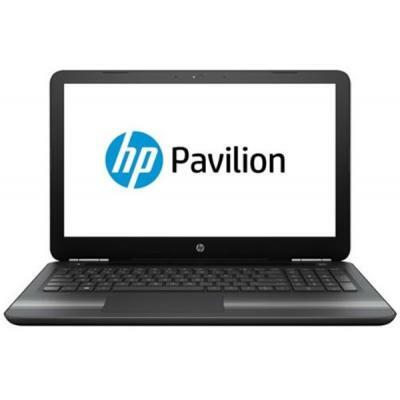 1JM38EA Ноутбук HP Pavilion 15-au146ur (1JM38EA) 15.6', FullHD (1920 х 1080), IPS, Intel Core i3 7100U (2.4 ГГц), 8 ГБ, 1 ТБ, NVIDIA GeForce GT 940MX, 2 ГБ, DVD-SMulti, Bluetooth, Wi-Fi, LAN (RJ-45), DOS, 2 cell, 2.0 кг, Silver 12 мес. 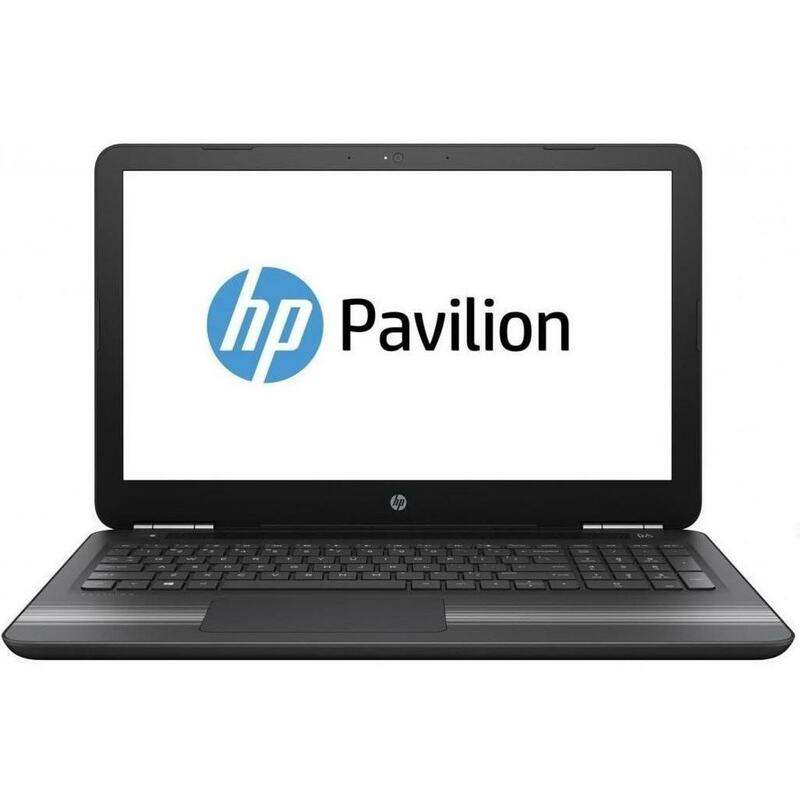 1JM39EA Ноутбук HP Pavilion 15-au147ur (1JM39EA) 15.6', FullHD (1920 х 1080), Intel Core i3 7100U (2.4 ГГц), 8 ГБ, 1 ТБ, NVIDIA GeForce GT 940MX, 2 ГБ, DVD-SMulti, Bluetooth, Wi-Fi, LAN (RJ-45), DOS, 2 cell, 2.0 кг, Black 12 мес. 1JM40EA Ноутбук HP Pavilion 15-au148ur (1JM40EA) 15.6', FullHD (1920 х 1080), IPS, Intel Core i5 7200U (2.5-3.1 ГГц), 8 ГБ, 1 ТБ, NVIDIA GeForce GT 940MX, 2 ГБ, DVD-SMulti, Bluetooth, Wi-Fi, LAN (RJ-45), DOS, 2 cell, 2.0 кг, Black 12 мес. 1KA02EA Ноутбук HP 250 (1KA02EA) Диагональ дисплея - 15.6", разрешение - FullHD (1920 х 1080), процессор - Intel Core i5 7200U (2.5-3.1 ГГц), объем оперативной памяти - 8 ГБ, объем HDD - отсутствует, объем SSD - 256 ГБ, видеокарта - AMD Radeon R5 M430, 2 12 мес. 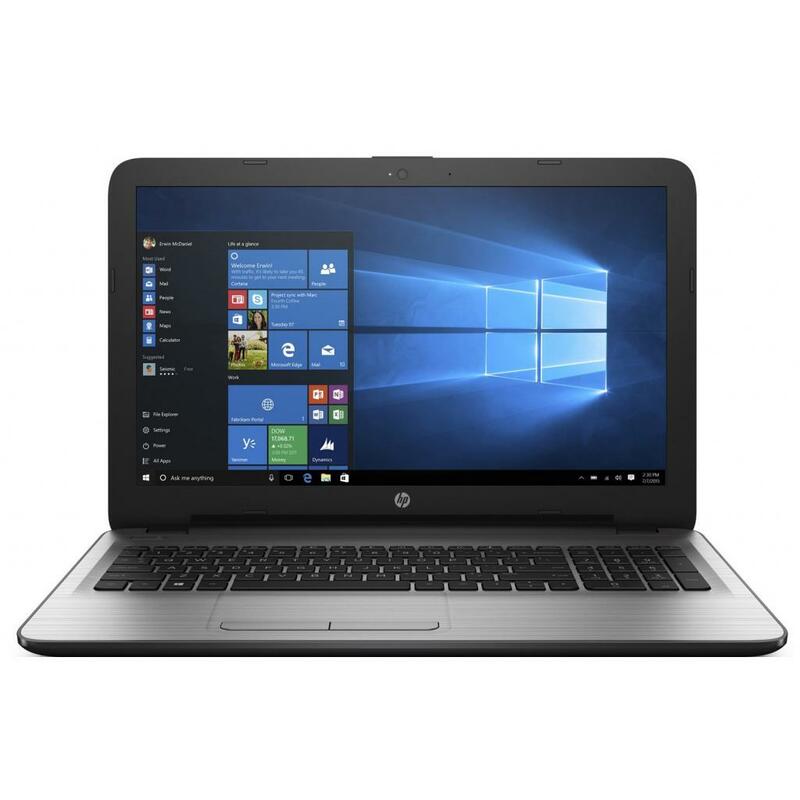 1KA04EA Ноутбук HP 250 (1KA04EA) Диагональ дисплея - 15.6", разрешение - FullHD (1920 х 1080), процессор - Intel Core i5 7200U (2.5-3.1 ГГц), объем оперативной памяти - 8 ГБ, объем HDD - отсутствует, объем SSD - 256 ГБ, видеокарта - Intel HD Graphics 620, 12 мес. 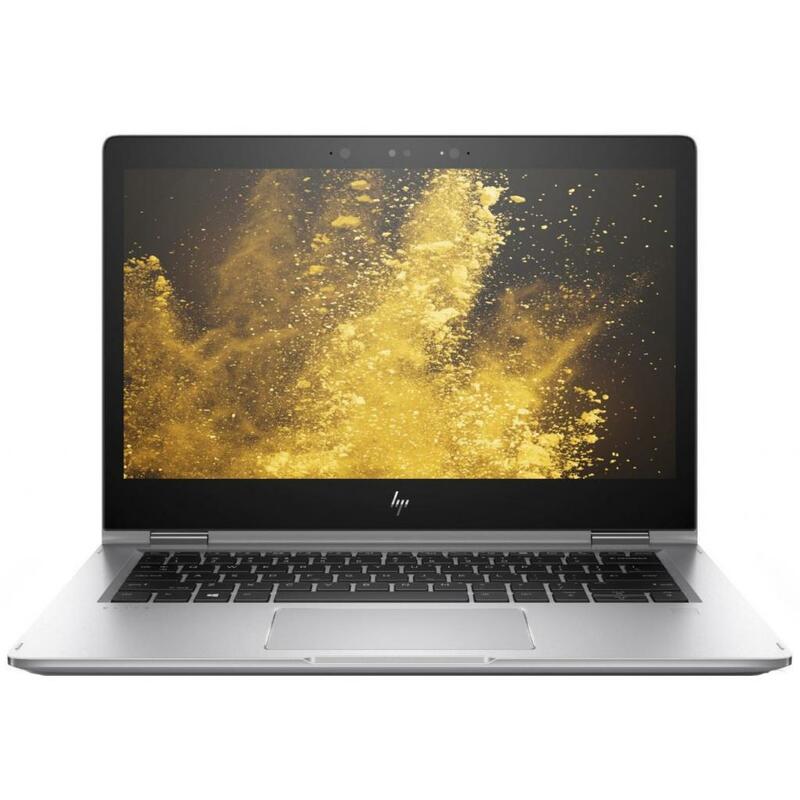 1KA22EA Ноутбук HP 250 (1KA22EA) 15.6', FullHD (1920 х 1080), Intel Core i3 5005U (2.00 ГГц), 8 ГБ, отсутствует, 256 ГБ, Intel HD Graphics 5500, DVD-SMulti, Bluetooth, Wi-Fi, Gigabit Ethernet, Windows 10 Pro 64bit, 3 cell, 2.0 кг, Silver 12 мес. 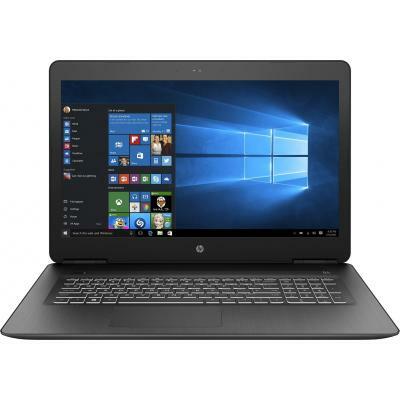 1LT91ES Ноутбук HP ProBook 450 (1LT91ES) 15.6', FullHD (1920 х 1080), TN+film, Intel Core i5 7200U (2.5-3.1 ГГц), 16 ГБ, отсутствует, 256 ГБ, NVIDIA GeForce 930MX, 2 ГБ, DVD-SMulti, Bluetooth, Wi-Fi, Gigabit Ethernet, DOS, 3 cell, 2.0 кг, Grey 12 мес. 1LT92ES Ноутбук HP ProBook 450 (1LT92ES) 15.6', FullHD (1920 х 1080), TN+film, Intel Core i5 7200U (2.5-3.1 ГГц), 16 ГБ, отсутствует, 256 ГБ, Intel HD Graphics 620, DVD-SMulti, Bluetooth, Wi-Fi, Gigabit Ethernet, DOS, 3 cell, 2.0 кг, Grey 12 мес. 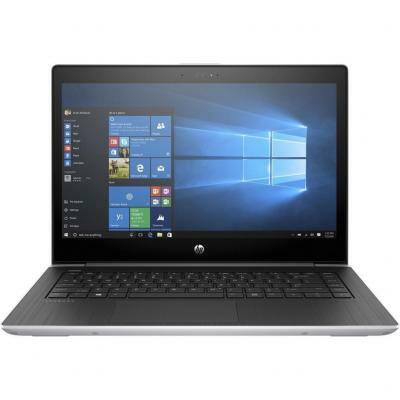 1LT99ES Ноутбук HP ProBook 450 (1LT99ES) 15.6', FullHD (1920 х 1080), TN+film, Intel Core i7-7500U (2.7-3.5GHz), 16 ГБ, отсутствует, 256 ГБ, Intel HD Graphics 620, DVD-SMulti, Bluetooth, Wi-Fi, Gigabit Ethernet, DOS, 3 cell, 2.0 кг, Grey 12 мес. 1LU01ES Ноутбук HP 250 (1LU01ES) 15.6', HD (1366 х 768), Intel Core i3 5005U (2.00 ГГц), 8 ГБ, 1 ТБ, AMD Radeon R5 M430, 2 ГБ, No ODD, Bluetooth, Wi-Fi, Gigabit Ethernet, DOS, 3 cell, 2.0 кг, Black 12 мес. 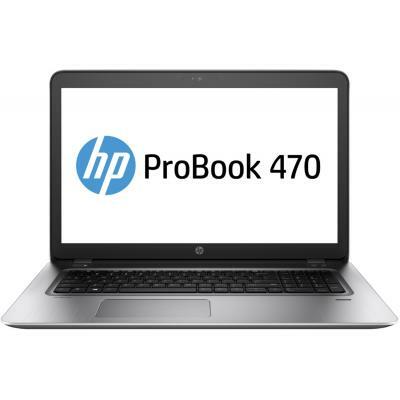 1LU52AV_V3 Ноутбук HP ProBook 450 G5 (1LU52AV_V3) 15.6', FullHD (1920 х 1080), Intel Core i7 8550U (1.8 - 4.0 ГГц), 16 ГБ, отсутствует, 256 ГБ, NVIDIA GeForce 930MX, 2 ГБ, No ODD, Bluetooth, Wi-Fi, Gigabit Ethernet, DOS, 3 cell, 2.1 кг, Silver 12 мес. 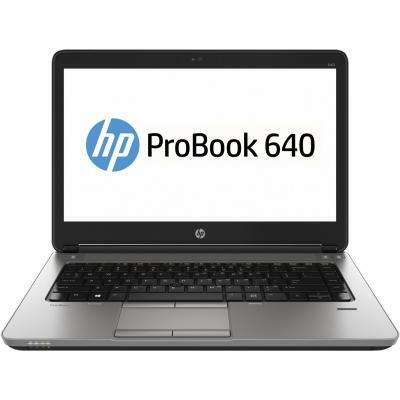 1LU55AV_V1 Ноутбук HP ProBook 450 G5 (1LU55AV_V1) 15.6', FullHD (1920 х 1080), Intel Core i3 7100U (2.4 ГГц), 8 ГБ, отсутствует, 256 ГБ, Intel HD Graphics 620, No ODD, Bluetooth, Wi-Fi, Gigabit Ethernet, DOS, 3 cell, 2.1 кг, Silver 12 мес. 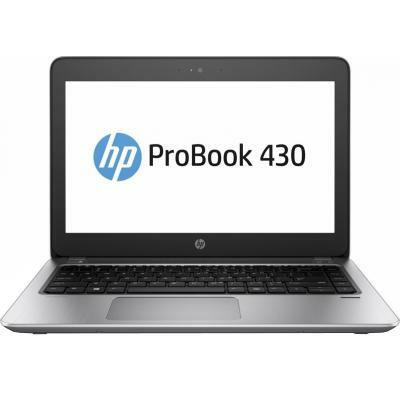 1LU55AV_V2 Ноутбук HP ProBook 450 G5 (1LU55AV_V2) 15.6', FullHD (1920 х 1080), Intel Core i3 7100U (2.4 ГГц), 16 ГБ, отсутствует, 256 ГБ, Intel HD Graphics 620, No ODD, Bluetooth, Wi-Fi, Gigabit Ethernet, DOS, 3 cell, 2.1 кг, Silver 12 мес. 1LU55AV_V4 Ноутбук HP ProBook 450 G5 (1LU55AV_V4) 15.6', FullHD (1920 х 1080), IPS, Intel Core i3 7100U (2.4 ГГц), 4 ГБ, 1 ТБ, Intel HD Graphics 620, No ODD, Bluetooth, Wi-Fi, Gigabit Ethernet, DOS, 3 cell, 2.1 кг, Silver 12 мес. 1LU56AV_V9 Ноутбук HP ProBook 450 G5 (1LU56AV_V9) 15.6', FullHD (1920 х 1080), IPS, Intel Core i5 8250U (1.6 - 3.4 ГГц), 16 ГБ, отсутствует, 256 ГБ, Intel UHD Graphics 620, No ODD, Bluetooth, Wi-Fi, Gigabit Ethernet, DOS, 3 cell, 2.1 кг, Silver 12 мес. 1VH51EA Ноутбук HP 15-bs053ur (1VH51EA) 15.6', HD (1366 х 768), SVA, Intel Core i3 6006U (2.0 ГГц), 4 ГБ, 500 ГБ, Intel HD Graphics 520, н.д., Bluetooth, Wi-Fi, Gigabit Ethernet, Windows 10 Home, 4 cell, 2.1 кг, Black 12 мес. 1WY51EA Ноутбук HP 250 G6 (1WY51EA) 15.6', FullHD (1920 х 1080), Intel Core i3 6006U (2.0 ГГц), 4 ГБ, 500 ГБ, Intel HD Graphics 520, DVD±RW, Bluetooth, Wi-Fi, LAN (RJ-45), DOS, 4 cell, 1.86 кг, Silver 12 мес. 1WY58EA Ноутбук HP 250 G6 (1WY58EA) 15.6', FullHD (1920 х 1080), Intel Core i5 7200U (2.5-3.1 ГГц), 8 ГБ, отсутствует, 256 ГБ, Intel HD Graphics 620, DVD±RW, Bluetooth, Wi-Fi, Gigabit Ethernet, DOS, 3 cell, 1.86 кг, Silver 12 мес. 1XN32EA Ноутбук HP 250 G6 (1XN32EA) 15.6', HD (1366 х 768), Intel Core i3 6006U (2.0 ГГц), 4 ГБ, 500 ГБ, AMD Radeon 520, 2 ГБ, DVD±RW, Bluetooth, Wi-Fi, LAN (RJ-45), DOS, 3 cell, 1.86 кг, Black 12 мес. 1XN42EA Ноутбук HP 250 G6 (1XN42EA) 15.6', HD (1366 х 768), Intel Core i3 6006U (2.0 ГГц), 4 ГБ, отсутствует, 256 ГБ, Intel HD Graphics 520, DVD±RW, Bluetooth, Wi-Fi, LAN (RJ-45), DOS, 3 cell, 1.86 кг, Dark Ash Silver 12 мес. 1XN67EA Ноутбук HP 250 (1XN67EA) 15.6', FullHD (1920 х 1080), TN+film, Intel Core i7-7500U (2.7-3.5GHz), 4 ГБ, 1 ТБ, Intel HD Graphics 620, DVD±RW, Bluetooth, Wi-Fi, Gigabit Ethernet, Windows 10 Pro 64bit, 4 cell, 2.0 кг, Silver 12 мес. 1XN68EA Ноутбук HP 250 G6 (1XN68EA) 15.6', HD (1366 х 768), Intel Core i3 6006U (2.0 ГГц), 4 ГБ, 500 ГБ, Intel HD Graphics 520, DVD±RW, Bluetooth, Wi-Fi, LAN (RJ-45), Windows 10 Pro, 3 cell, 1.86 кг, Black 12 мес. 1XN69EA Ноутбук HP 250 (1XN69EA) 15.6', FullHD (1920 х 1080), TN+film, Intel Core i7-7500U (2.7-3.5GHz), 8 ГБ, отсутствует, 512 ГБ, Intel HD Graphics 620, DVD±RW, Bluetooth, Wi-Fi, Gigabit Ethernet, Windows 10 Pro 64bit, 4 cell, 2.0 кг, Silver 12 мес. 1XN72EA Ноутбук HP 250 G6 (1XN72EA) 15.6', FullHD (1920 х 1080), Intel Core i5 7200U (2.5-3.1 ГГц), 8 ГБ, 1 ТБ, Intel HD Graphics 620, DVD±RW, Bluetooth, Wi-Fi, Gigabit Ethernet, Windows 10 Pro 64bit, 4 cell, 1.86 кг, Silver 12 мес. 1XN74EA Ноутбук HP 250 G6 (1XN74EA) 15.6', FullHD (1920 х 1080), Intel Core i3 6006U (2.0 ГГц), 8 ГБ, отсутствует, 256 ГБ, Intel HD Graphics 520, DVD±RW, Bluetooth, Wi-Fi, Gigabit Ethernet, Windows 10 Pro 64bit, 3 cell, 1.86 кг, Silver 12 мес. 1XN76EA Ноутбук HP 250 (1XN76EA) 15.6', HD (1366 х 768), Intel Core i5 7200U (2.5-3.1 ГГц), 4 ГБ, 500 ГБ, Intel HD Graphics 620, DVD-SuperMulti, Bluetooth, Wi-Fi, Windows 10 Pro, 3 cell, 1.9 кг, Black 12 мес. 1ZJ85EA Ноутбук HP 15-bs019ur (1ZJ85EA) 15.6', FullHD (1920 х 1080), SVA, Intel Core i5 7200U (2.5-3.1 ГГц), 6 ГБ, 1 ТБ, 128 ГБ, AMD Radeon 530, 4 ГБ, No ODD, Bluetooth, Wi-Fi, Gigabit Ethernet, Windows 10 Home, 4 cell, 2.1 кг, Black 12 мес. 2CT31EA Ноутбук HP Pavilion 15-cc532ur (2CT31EA) 15.6', FullHD (1920 х 1080), Intel Core i7-7500U (2.7-3.5GHz), 8 ГБ, 1 ТБ, 128 ГБ, NVIDIA GeForce GT 940MX, 4 ГБ, No ODD, Bluetooth, Wi-Fi, LAN (RJ-45), Windows 10, 1.9 кг, Silver 12 мес. 2EV81ES Ноутбук HP 250 G6 (2EV81ES) 15.6', FullHD (1920 х 1080), Intel Core i3 6006U (2.0 ГГц), 8 ГБ, отсутствует, 256 ГБ, Intel HD Graphics 520, DVD±RW, Bluetooth, Wi-Fi, LAN (RJ-45), DOS, 4 cell, 1.86 кг, Dark Ash Silver 12 мес. 2EV83ES Ноутбук HP 250 G6 (2EV83ES) 15.6', FullHD (1920 х 1080), Intel Core i3 6006U (2.0 ГГц), 8 ГБ, 1 ТБ, AMD Radeon 520, 2 ГБ, DVD±RW, Bluetooth, Wi-Fi, LAN (RJ-45), DOS, 4 cell, 1.86 кг, Silver 12 мес. 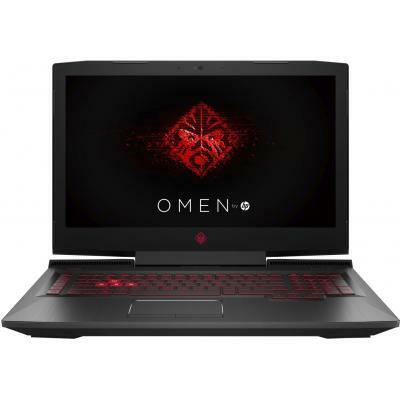 2EV91ES Ноутбук HP 250 G6 (2EV91ES) 15.6', FullHD (1920 х 1080), Intel Core i5 7200U (2.5-3.1 ГГц), 8 ГБ, 500 ГБ, Intel HD Graphics 620, DVD±RW, Bluetooth, Wi-Fi, LAN (RJ-45), DOS, 4 cell, 1.86 кг, Silver 12 мес. 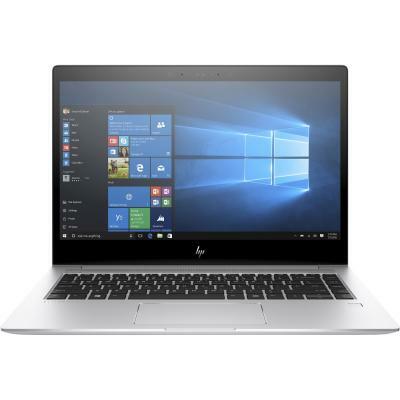 2EV99ES Ноутбук HP 250 G6 (2EV99ES) 15.6', FullHD (1920 х 1080), Intel Core i7-7500U (2.7-3.5GHz), 8 ГБ, отсутствует, 256 ГБ, Intel HD Graphics 620, DVD±RW, Bluetooth, Wi-Fi, Gigabit Ethernet, DOS, 3 cell, 1.86 кг, Dark Ash Silver 12 мес. 2EW20ES Ноутбук HP 250 (2EW20ES) 15.6', HD (1366 х 768), TN+film, Intel Core i5 7200U (2.5-3.1 ГГц), 8 ГБ, 500 ГБ, Intel HD Graphics 620, No ODD, Bluetooth, Wi-Fi, Gigabit Ethernet, Windows 10 Pro 64bit, 3 cell, 2.0 кг, Black 12 мес. 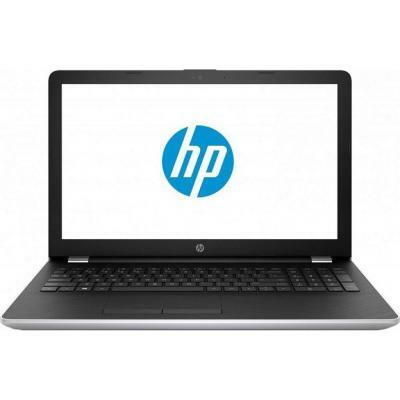 2FQ30EA Ноутбук HP 15-bs507ur (2FQ30EA) 15.6', HD (1366 х 768), Intel Core i3 6006U (2.0 ГГц), 4 ГБ, 1 ТБ, AMD Radeon 520, 2 ГБ, No ODD, Bluetooth, Wi-Fi, LAN (RJ-45), Windows 10, 3 cell, 2.2 кг, Black 12 мес. 2HG13ES Ноутбук HP 250 (2HG13ES) 15.6', HD (1366 х 768), Intel Core i7-7500U (2.7-3.5GHz), 8 ГБ, 500 ГБ, Intel HD Graphics 620, No ODD, Bluetooth, Wi-Fi, Gigabit Ethernet, Windows 10 Pro 64bit, 3 cell, 2.0 кг, Black 12 мес. 2HG19ES Ноутбук HP 250 G6 (2HG19ES) 15.6', FullHD (1920 х 1080), Intel Core i7-7500U (2.7-3.5GHz), 8 ГБ, 1 ТБ, Intel HD Graphics 620, DVD±RW, Bluetooth, Wi-Fi, Gigabit Ethernet, Windows 10 Pro 64bit, 4 cell, 2.0 кг, Dark Grey 12 мес. 2HG20ES Ноутбук HP 250 (2HG20ES) 15.6', FullHD (1920 х 1080), Intel Core i5 7200U (2.5-3.1 ГГц), 8 ГБ, 1 ТБ, AMD Radeon 520, 2 ГБ, DVD±RW, Bluetooth, Wi-Fi, Gigabit Ethernet, Windows 10 Pro 64bit, 4 cell, 1.9 кг, Black 12 мес. 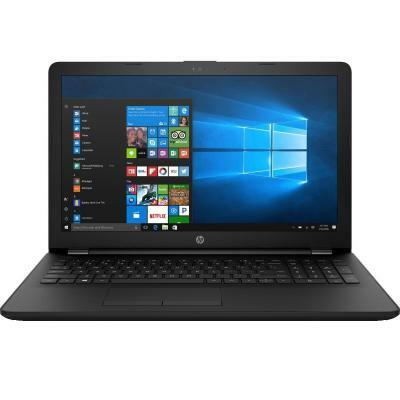 2HG21ES Ноутбук HP 250 (2HG21ES) 15.6', HD (1366 х 768), TN+film, Intel Core i5 7200U (2.5-3.1 ГГц), 8 ГБ, 1 ТБ, AMD Radeon 520, 2 ГБ, DVD±RW, Bluetooth, Wi-Fi, Gigabit Ethernet, DOS, 4 cell, 2.0 кг, Black 12 мес. 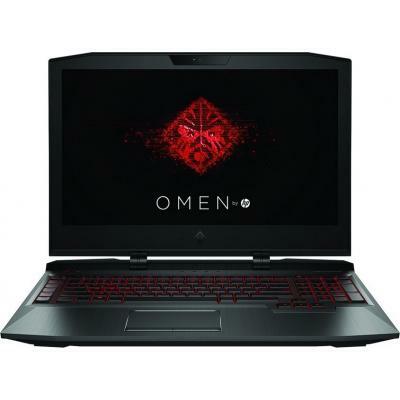 2HG26ES Ноутбук HP 250 G6 (2HG26ES) 15.6', FullHD (1920 х 1080), Intel Core i3 6006U (2.0 ГГц), 8 ГБ, отсутствует, 128 ГБ, Intel HD Graphics 520, No ODD, Bluetooth, Wi-Fi, LAN (RJ-45), DOS, 3 cell, 1.9 кг, Dark Silver 12 мес. 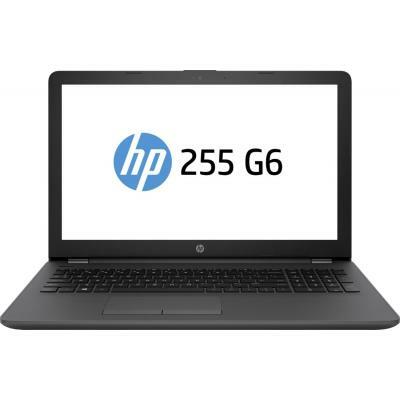 2HG27ES Ноутбук HP 250 G6 (2HG27ES) 15.6', HD (1366 х 768), Intel Core i3 6006U (2.0 ГГц), 8 ГБ, 1 ТБ, Intel HD Graphics, No ODD, Bluetooth, Wi-Fi, LAN (RJ-45), Windows 10 Home, 3 cell, 1.86 кг, Dark Ash Silver 12 мес. 2HP73EA Ноутбук HP 15-bs530ur (2HP73EA) 15.6', HD (1366 х 768), Intel Core i5 7200U (2.5-3.1 ГГц), 4 ГБ, 500 ГБ, AMD Radeon 520, 2 ГБ, No ODD, Bluetooth, Wi-Fi, LAN (RJ-45), DOS, 4 cell, 2.1 кг, Black 12 мес. 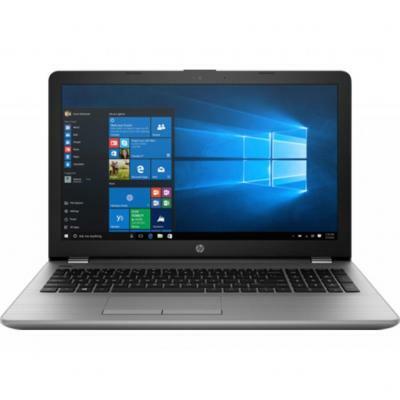 2KG44EA Ноутбук HP 15-bs542ur (2KG44EA) 15.6', FullHD (1920 х 1080), Intel Core i7-7500U (2.7-3.5GHz), 8 ГБ, 1 ТБ, AMD Radeon 530, 2 ГБ, DVD±RW, Bluetooth, Wi-Fi, LAN (RJ-45), DOS, 4 cell, 2.1 кг, Black 12 мес. 2LB81ES Ноутбук HP 250 G6 (2LB81ES) 15.6', FullHD (1920 х 1080), Intel Core i3 6006U (2.0 ГГц), 8 ГБ, отсутствует, 256 ГБ, AMD Radeon 520, 2 ГБ, DVD±RW, Bluetooth, Wi-Fi, LAN (RJ-45), DOS, 4 cell, 1.86 кг, Dark Ash Silver 12 мес. 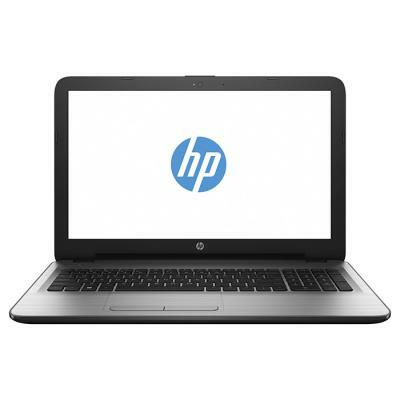 2LB99EA Ноутбук HP 250 G6 (2LB99EA) 15.6', FullHD (1920 х 1080), Intel Core i3 6006U (2.0 ГГц), 4 ГБ, отсутствует, 256 ГБ, Intel HD Graphics 520, DVD±RW, Bluetooth, Wi-Fi, LAN (RJ-45), Windows 10 Pro, 3 cell, 1.86 кг, Silver 12 мес. 2LE30EA Ноутбук HP 15-bs558ur (2LE30EA) 15.6', HD (1366 х 768), Intel Core i3 6006U (2.0 ГГц), 4 ГБ, 500 ГБ, Intel HD Graphics 520, No ODD, Bluetooth, Wi-Fi, LAN (RJ-45), DOS, 3 cell, 2.0 кг, Silver 12 мес. 2LE35EA Ноутбук HP 15-bs563ur (2LE35EA) 15.6', FullHD (1920 х 1080), Intel Core i7-7500U (2.7-3.5GHz), 8 ГБ, отсутствует, 256 ГБ, AMD Radeon 530, 4 ГБ, No ODD, Bluetooth, Wi-Fi, LAN (RJ-45), DOS, 3 cell, 2.0 кг, Silver 12 мес. 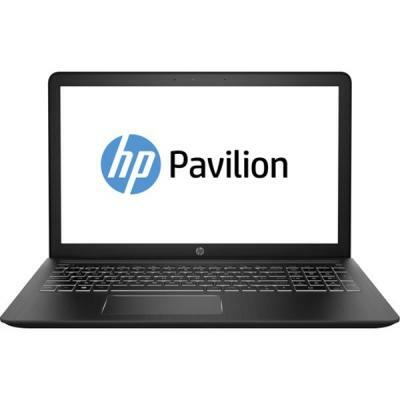 2LE43EA Ноутбук HP Pavilion 15-cc548ur (2LE43EA) 15.6', FullHD (1920 х 1080), Intel Core i5 7200U (2.5-3.1 ГГц), 8 ГБ, отсутствует, 512 ГБ, NVIDIA GeForce GT 940MX, 4 ГБ, No ODD, Bluetooth, Wi-Fi, LAN (RJ-45), DOS, 3 cell, 2.0 кг, Silver 12 мес. 2MD88EA Ноутбук HP 15-bs565ur (2MD88EA) 15.6', FullHD (1920 х 1080), Intel Core i5 7200U (2.5-3.1 ГГц), 8 ГБ, 1 ТБ, AMD Radeon 520, 2 ГБ, No ODD, Bluetooth, Wi-Fi, LAN (RJ-45), Windows 10 Home, 4 cell, 2.1 кг, Black 12 мес. 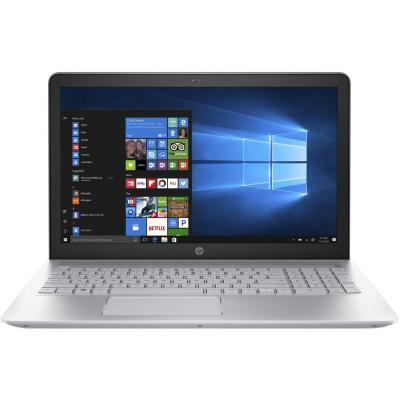 2NP76EA Ноутбук HP Pavilion Power 15-cb033ur (2NP76EA) 15.6', FullHD (1920 х 1080), IPS, Intel Core i7-7700HQ (2.8 - 3.8 ГГц), 12 ГБ, 1 ТБ, NVIDIA GeForce GTX 1050, 4 ГБ, No ODD, Bluetooth, Wi-Fi, LAN (RJ-45), Windows 10, 4 cell, 2.2 кг, Black 12 мес. 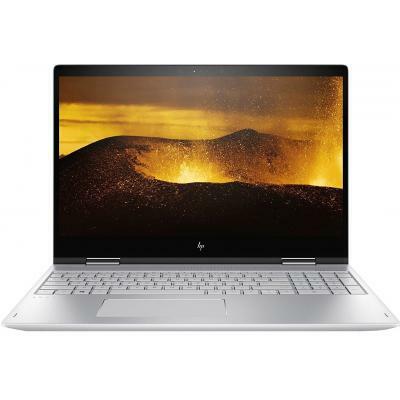 2PQ26EA Ноутбук HP ENVY x360 15-bp103ur (2PQ26EA) 15.6', FullHD (1920 х 1080), Intel Core i5 8250U (1.6 - 3.4 ГГц), 8 ГБ, отсутствует, 256 ГБ, Intel UHD Graphics 620, No ODD, Bluetooth, Wi-Fi, Windows 10 Home, 2.1 кг, Silver 12 мес. 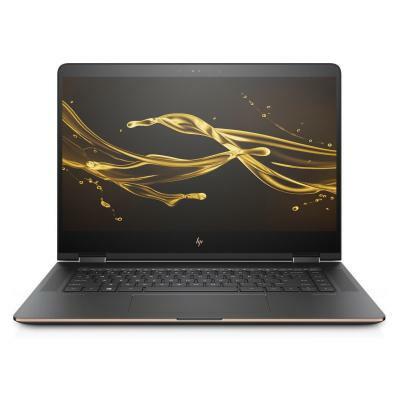 2RR62ES Ноутбук HP 250 G6 (2RR62ES) 15.6', FullHD (1920 х 1080), Intel Core i3 6006U (2.0 ГГц), 8 ГБ, отсутствует, 512 ГБ, Intel HD Graphics 520, DVD±RW, Bluetooth, Wi-Fi, Gigabit Ethernet, Windows 10 Pro 64bit, 3 cell, 1.86 кг, Black 12 мес.